Each instrument produced by Pharma Test is fully tested before being delivered to the customer. Our experts for final inspection use QC test reports based on the requirements of the latest USP and EP Pharmacopeia and the same traceable calibration tools as later for the operational qualification (OQ) after installation at the customer’s site. 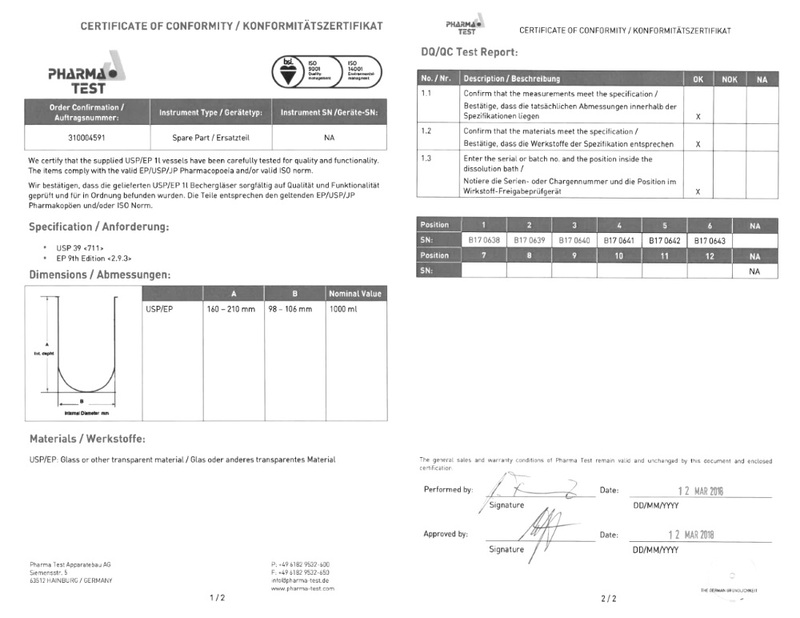 The customer receives the original QC report document together with the instrument documentation folder. The QC report includes certificates, to document that this instrument and relevant accessories were produced according to the requirements of the latest USP and EP Pharmacopeia. A digital copy of the QC report and the details of the built-in components are archived on our end to provide full traceability.